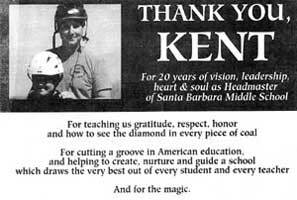 For over 20 years (1979-2000), Kent was Headmaster of the Santa Barbara Middle School. This highly successful and innovative school (the only independent middle school in California which is fully accredited by the 150 member California Association of Independent Schools) began as nothing more than a dream. In the early years Kent gave the school his books, car, and computer! By year three SBMS had achieved full enrollment and balanced budgets, and has maintained both since that time. In 1989 Kent moved the school from its rented facilities to a beautiful seventeen acre campus and volunteers worked hard to completely restore an old Franciscan monastery. Playing fields, gardens, a theatre, three computer labs, a deli, and school store were added, and an old gym was given new life. Around one third of the teachers were once students at SBMS, while half of the faculty began their connection with the school first as parents of enrolled students. Before launching this highly successful educational experiment Kent had spent a dozen years in other administrative and educational endeavors. For several years Kent was Dean of School at Howard School in Santa Barbara where in addition to coaching soccer and baseball, he directed the International House, a home for children enrolled from around the world. 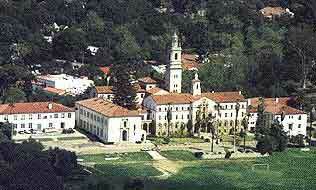 In 1977 Kent was the director of the New Age Alternative school in Santa Barbara. 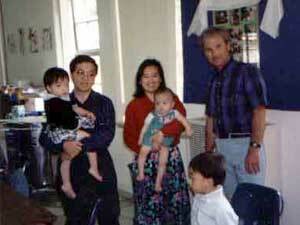 This was a special school entirely devoted to children placed in group homes by the Court system of California. These "wards of the court" were either abused, abandoned, delinquent, or injured by drug overdose. 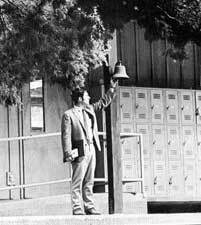 From 1969-1976 Kent was Chairman of the Humanities Department at Laguna Blanca College Preparatory School in Santa Barbara, and began an extensive outdoor experiential education program there. Kent has a Masters Degree in American Studies from the Claremont Graduate School and University Center in Claremont, California. He was awarded the National Defense Education Act Title IV Fellowship there. He has a Bachelor's Degree (1966) from Ursinus College in Collegeville, Pennsylvania, where he recieved honorable mention as a Danforth Fellow and Woodrow Wilson Fellow. 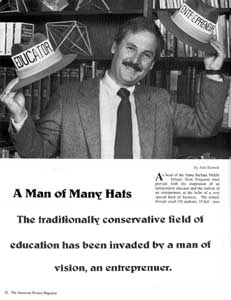 · Educational Editor; Skeptic Magazine, 1975. · Contributing Editor, Vidya Magazine, 1990-2000. · Co-author, Riddles in the Ruins, 1986. Published by Harcourt Brace. This pioneering experiment in the use of computer in the classroom won a grant from the National Council of the Humanities. Kent is the Founder/President of Revolutionary Wheels, an outdoor travel and adventure club which conducted backpacking and bicycling trips in Canada, the U.S., and Europe. In 1976 this group crossed the United States on the inaugural transcontinental cycling trip in honor of the "Bikecentennial." For several years he was the manager of the "Bike'n Hike" chain of stores. Kent of has spent approximately 25% of his adult life exploring, camping, and leading outdoor programs. 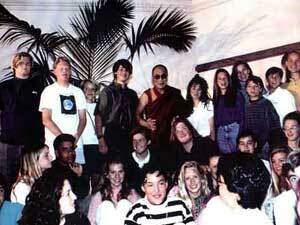 He has traveled in all fifty states and 22 foreign countries. 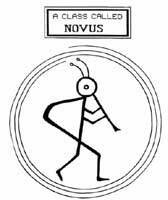 As a classroom teacher Kent was the designer of The Novus Project, an instructional classroom program which was featured by the United Nations as one of forty exemplary programs for "Global Education at the Grassroots." 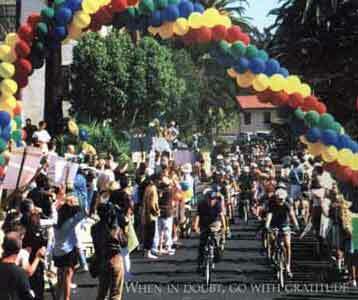 Kent was honored by the Mayor and by the City Council of Santa Barbara in 1998 for the successful completion of 1,000,000 miles of safe cycling in nine western states with children over the past two decades. 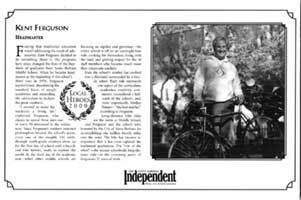 In 2000 the local newspaper officially named Kent as a local hero because of his work with young people.